350Brooklyn stands with those recovering from the violence and racism displayed in Charlottesville, and with all those on the front lines in the fight against white supremacy. The struggle against racism is intimately bound with the struggle against climate injustice and economic inequality. There is no place for racism and hatred in a just and sustainable future. The EPA is reviewing car and truck emission standards with the likely result of relaxing them. These emission standards are an important tool for curbing climate change and we cannot let Scott Pruitt further his agenda of destroying the planet. Deadline in Friday, August 25. Submit a Public Comment Now. “Public Comments really make a difference” said Doreen Harris, the Director of Large-Scale Renewables for NYSERDA, leading a public forum on NY State’s Master Plan in Coney Island on August 16th. New York could be a leader in wind power, but your voice is needed to make that happen. NYSERDA (New York State Energy Research and Development Authority) hosted a series of Offshore Wind forums in NY coastal neighborhoods in order to share New York State’s Master Plan before it is completed in December. The current plans are a step in the right direction but they are not sufficient. The governor has a goal of 2,400 megawatts of offshore wind by 2030, but we need a stronger commitment, for 5,000 MW of offshore wind by 2025 and 10,000 MW by 2030. That’s why we need you to submit a formal comment in favor of offshore wind development and let them know we need to do more. The deadline is August 31. 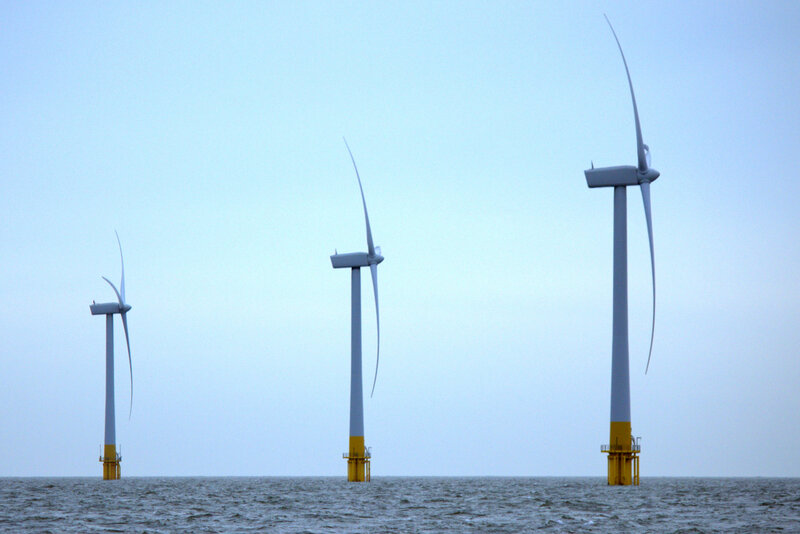 Show your support for offshore wind: Leave Your Comment Today. At our next general meeting, we are pleased to welcome the Secretary to Governor Cuomo, Melissa DeRosa, who will discuss how New York State and Governor Cuomo plan to address our concerns about climate change and the environment. An Important Win Against the Constitution Pipeline! Thanks to the hard work of Earthjustice, Catskills Mountainkeepers, and other groups, a federal appeals court ruled has shut down the Constitution Pipeline in New York State! 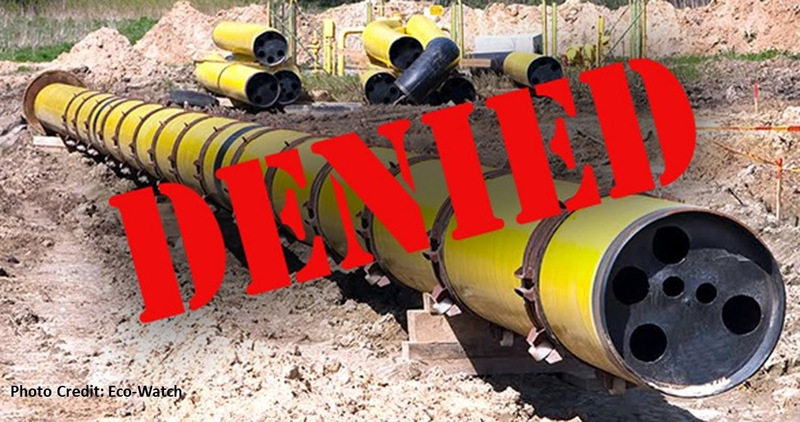 The court ruled against the developers of the pipeline and confirmed that the New York State Department of Environmental Conservation (DEC) has the authority to deny the water rights necessary to complete the pipeline. This victory has important implications nationwide. If the states can’t protect their waterways and clean drinking water, then there would be virtually no recourse to Federal Energy Commission’s rubber stamping of pipelines anywhere. This decision was critical. Last week, five protesters were arrested for blocking the entryway to a fossil fuel finance conference in Manhattan at Goldman, Sachs. Members of 350Brooklyn joined representatives of Food and Water Watch and New York Communities for Change, and others to protest the conference. We’ll continue to show up anywhere the fossil fuel industry has a foothold to let them know we won’t stand by while they destroy communities and devastate the planet. 350Brooklynites also enjoyed a picnic in Prospect Park: delicious food, good company, music courtesy of Dennis Gronim, a lovely summer break from our usual monthly meeting routine. The next meeting is September 14 back at Brooklyn Commons. 350Brooklyn is calling for a Town Hall with New York State representatives….to hear from you, their constituents. As we commemorate the Fifth Anniversary of Superstorm Sandy, we must face the climate emergency head on and make sure our communities are resilient. And New York must be an international leader to build our renewable energy future. We want to fill the 250 seats and need your help on the town hall event, please email legislation@350brooklyn.org to get involved.